At Supertuff Europe, we manufacture heavy duty plastic Eurobins that are designed to be used for a wide range of demanding applications. Being manufactured using a rotational moulding process, the double-skinned design ensures that the Eurobin is robust, watertight and resistant to corrosion. 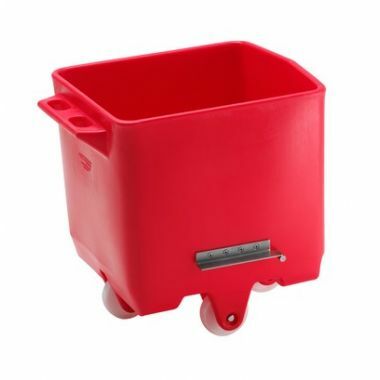 The Eurobin range was originally designed for the food industry and is produced using food grade polyethylene (MDPE), but can be used in general industry due to its versatile shape and rugged build quality. With its 200 litre capacity, the swivel castors on the Eurobin provide good levels of manoeuvrability even when fully laden. The availability of this range in a number of colour options also mean that organisations with colour coding systems are well catered for. Matching plastic lids can also be provide to secure onto the bins.